During the earlier times it was considered that the month of October in Italy is the beginning of slow season, since the prices use to fall and a large number of tourists used to fly back. Those days have become history in the superior tourist towns. Both April and October are considered as one of busiest ones in Italy and one should not assume that these two months there will be quiet; on arriving you will be surprised to know that tourists are still present during that time. June or July will have more tourists compared to October, however crowds are attracted to the pleasant weather of the country and this weather is throughout the country during the month of October, relatively the prices for hotels and for flights drop, so it becomes a perfect combination of great weather and inexpensive prices. This is one of the reasons it's getting more favorable to visit Italy during the month of October. October is one of the best months of all to visit Rome and major towns. There are plenty of sunny days in October all over the country which are known locally as "ottobrate romane". In October, the temperatures start getting low, especially at night in Northern Italy due to the higher altitudes. In comparison to June and July, the tourist season is comparatively lower in Italy in October, though there would definitely be tourists in the larger cities. In October, autumn is in full swing in Italy and do expect a lot of wet days and sudden showers, especially in northern and central Italian regions. However, southern Italy would be still warmer so those who are looking for a few warm days can head to the beaches and the sea side resorts where the days would still be warmer compared to northern Italy. Northern Italy the temperature climbs down quite steeply in October. In Milan and other parts of Northern Italy, the average temperature would remain between 7 and 18 degrees Celsius (44 to 64 degree Fahrenheit). In October, there will be many wet days and the nights tend to be much colder. In Central Italy including cities like Rome the temperature climbs down by a notch, approximately between 13 to 23 degrees Celsius (56 to 71 degree Fahrenheit). In October, there are plenty of rainy days in comparison to the past few months so it's best to be equipped. In Southern Italy and the seaside resorts, including Palermo, the temperatures begin to climb down but the days are still quite warm. In October, the temperatures remain between 19 to 23 degrees Celsius (66 to 74 degrees Fahrenheit). Even in Southern Italy, there are quite a lot of rainy days in October. In October, throughout Italy precipitation is quite common. Depending on the interests and likings, visitors can choose their destinations for travel in Italy in October. While October is Italy is mainly famous for its many amazing food festivals, those who are not particularly interested in these festivals can visit central Italy or southern Italy, especially Sicily in October, since these would still be a bit warmer.The beaches in Sicily offer many good options for those who love water sports or just want to spend a day swimming. Northern regions would be much cooler, though there wouldn't be enough snow in order to enjoy skiing, so it's best to not visit Piedmont or the Dolomites in October. 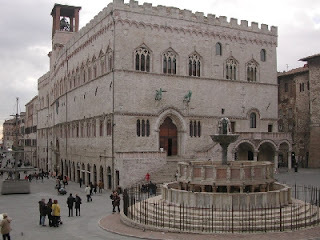 Central Italy is a very good option: Perugia, Todi, Umbertide, Cortona. 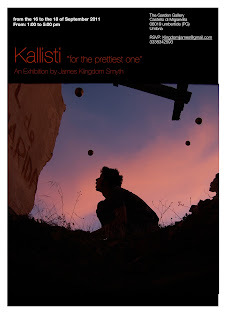 Let us introduce you to James Kingdom Smyth, a young talented artist, who is going to give a show at the Garden Gallery, Castello di Migianella, Umbertide. The art exhibition will run from the 16th to the 18th of September from 1pm to 5pm. 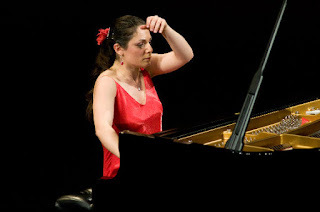 Mariangela Vacatello is one if Italy's brightest pianists. When she visits the Sagra Musicale Umbra on Sunday 18th of September, she will perform a Liszt programme including the beautiful 'Sei Consolations'. 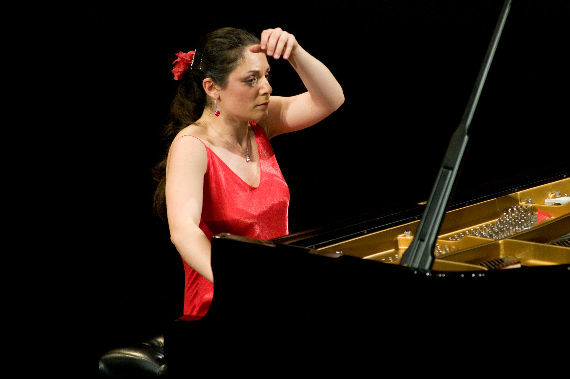 Mariangela Vacatello has made much of her name through her love of Franz Liszt. The stories speak not just to her early attraction to the composer, but to the drive and talent that have pushed her along her fast-rising career. 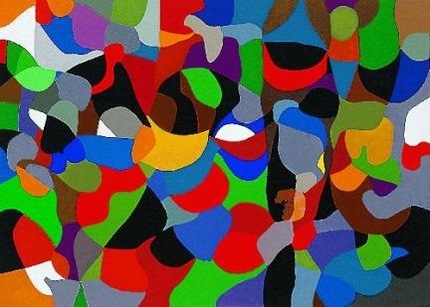 Mariangela Vacatello has a technique that is extraordinary even by today’s standard of widespread virtuosity. She is a true musician, not just another of the acrobats being turned out by the thousands in the musical mega-factories. In her playing one hears the great pianistic traditions melded with the freshness of an individual approach. She is a true artist of the piano who recalls to mind the great women pianists of recent and not so recent generations. Sunday 18th of September in Terni in the Auditorium Gazzoli in the Blue Hall at 5pm. While Central Tuscany has a magic that cannot be matched with towns like Siena, Cortona, Pienza, Montepulciano, and Montalcino, you'll be sharing this magic with many tourists and woefully few Italians. Nearby, in the Upper Tiber Valley of Umbria, a drive of an hour or less from the towns above, there awaits a magic that is different, but equally as special. Don't come to this region expecting to share your experiences with other English-speaking tourists. This is where the language heard most often is Italian and so are the tourists. The Upper Tiber Valley is the northernmost Umbrian territory. Wedged between Tuscany and the rugged mountains of the Marches, this region has a unique cultural and social character. The people of this region have been master hunters and gatherers for centuries. Wild mushroom varieties (porcini), tartufo bianco e nero (white and black truffles), cinghiale (wild boar), coniglio (rabbit) are foods typically found on kitchen tables. The Tiber River runs through the entire length of the valley for 50 kilometers and provides the valley with great fertility. Still largely farmed with tobacco, each year sees more fields turned over to produce and feed for livestock. There are eight leading towns in the region. The hill towns of Citerna, Montone, Monte Santa Maria Tiberina, and Pietralunga are sleepy hamlets with magnificent views with one or two good places to eat and some memorable art in their local museums and churches. Their real attractions, however, are the vistas from each town, the joy of the winding drive up to each hilltop location and searching out a place to sample the local food and wine. Città di Castello, Lisciano Niccone, San Giustino, and Umbertide are valley towns bustling with the energy of daily Italian culture and are the leading towns for art, culture, great restaurants. The Albizzini Palace Foundation in Città di Castello holds The Burri Collection. The artist Alberto Burri was a resident of Città di Castello and one of the major leaders of contemporary art. The works in the Alberto Burri museum tell the story of an artist who lived in his own head, making work that followed its own potent logic.